A fascinating three petaled summer flowering bulb from Mexico, Tigridia have been grown in the UK for over 200 years. They come from higher altitudes and seem to adapt readily to our climate. The well known Tigridia pavonia is commonly called the 'Jockey Cap Lily' and the colorful silky flowers do fit the description. The outer petals are usually white, yellow or red, the inner or throat being red flecked with yellow. The flowers really are a briliant colour, so consider this when planting, they look great in a container and as mature bulbs will produce up to 8 flowers in a season a mixed planting will ensure a riot of colour. 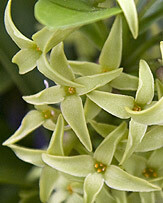 In the UK full sun is essential and Tigridia will grow equally well in the ground or in containers. A humus rich moist but well drained soil is best. Good drainage in winter is essential. 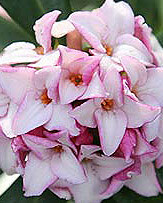 Tigridia are generally sold in late winter to spring as dormant bulbs, ready for planting. Good sized bulbs will flower well in the first year. 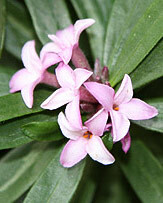 They also multiply well, with clumps doudling or tripling in size every year. In poorly drained soil, either improve drainage by adding some coarse material, or mound up the garden bed to improve drainage. Protect from frosts with a strategic covering of light mulch in winter. You can also grow Tigridia from seed. You will needa cold frame or propagator. Sow seeds in trays around 5 cm (1 inch) apart, the seeds are large so this shoild be easy. You can plant them in individual pots if you like. Keep moist, seeds should germinate in 3 - 4 weeks. 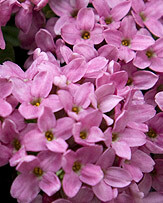 Leave them until the following spring before planting out. Although Tigridia pavonia is the best known species a few others are well worth looking for. Tigridia orthantha is form the higher altitudes of central america. 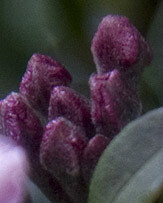 This is a fairly easy species to grow in the UK as long as it is kept frost free. Wonderful orate flowers over a long period from summer on. Tigridia vanhouttei is one of the more spectacular species three petals mauve speckled with a creamy white towards the edge and in the centre a deep burgundy red. Tigridia chiapensis is a pretty summer flowering species, white petals flecked with red towards the yellow centre. Damp in summer, dry winters. Tigridia grandiflora has white petals with scarlet res patterned centre, a brilliant flowering bulb.